$199 is our base price to handle a limited liability company (LLC) formation on your behalf, preparing the forms, answering your questions and including the options as described. Different states have different legal costs and available add-ons. Please select your state from the drop-down menu. Please chose a name that is at least one word, and unlikely to be already taken. We'll double-check to make sure the name is available, and work with you if it's not. What is the intended purpose of the LLC? We just need 2-3 words, such as "investment holding company" or "consulting services". Each state also requires a physical mailing address. This address can be located anywhere in the world, but cannot be a PO Box. For a monthly fee, L4SB can provide your LLC with a Virtual Mailbox located in the State of New Mexico. This address can be used for registrations in other states. We will send you your actual physical mail once a month. In the US, a USPS Form 1583 is required for any mailbox service. This form must be notarized and accompanied by two forms of ID, and the original (with copies of the ID's) must be sent to us BEFORE we can issue you a mailbox and form your company. The Online Notary Service is more convenient and greatly speeds up the process of forming your new company with a virtual mailbox of your own. You should consider this service if you are in a hurry! This is PRIVATE INFORMATION, and will not be sent to the State. We use this information for purposes of the FREE Operating Agreement we give you. You can SKIP this question, if you will be the only owner. Add rows as needed for each Member. "% Ownership" means what percentage of the LLC is owned by each Member, and the total should equal 100%. "Capital Contribution" represents the value (in dollars) for money, assets and services initially put into the LLC to get it started. It can be $0. Ideally, it will be proportional to the "% Ownership" (for example, if you own 50% and your initial Capital Contribution is $1,000, you would expect your 50% partner to also have an initial Capital Contribution of $1,000). This is PRIVATE INFORMATION, and will not be sent to the State. We use this information for purposes of the FREE Operating Agreement we give you. If there will be NO MANAGERS, then click "MEMBER MANAGED" instead of "MANAGER MANAGED". Read the FAQ below for an explanation on "WHAT IS THE DIFFERENCE BETWEEN 'MEMBER MANAGED' AND 'MANAGER MANAGED'?" If you will have one or more Managers, then let us know what the names of your Managers are (if you know them). Otherwise, please put "TBD" or something appropriate. FEIN Acquisition: We will obtain a FEIN for you (using your information). A federal employer identification number (FEIN), also known as a federal tax registration number, identifies a business for taxation purposes, similar to a social security number but for businesses. You will need a FEIN to open a bank account. S-Corp Election or C-Corp Election: Let L4SB help you with your tax status election. Do NOT select both, but just one. We're fill out your paperwork, send to you for your review and approval, and submit to the IRS after you obtain your LLC's FEIN. Need more information? Read our knowledge base article on the topic. Mutual NDA Template: This is a Non-Disclosure Agreement template that you can use for confidential discussions. You will need to review and modify this template to meet your specific needs. Draft Corporate Resolutions: These are template, draft corporate resolutions you can use to exert corporate power. You will need to review and modify this template to meet your specific needs. Digital Certificate: Spice up and make your official electronic correspondence look professional with a black-and-white and gold embossed digital signature created for your company. We provide four (4) files, one transparent PNG and one JPG, for each of the gold and black-and-white seals. Independent Contractor Agreement: This is a very comprehensive Contractor Agreement template you can use for your business, containing non-compete, non-solicitation, intellectual property and other important clauses. You will need to review and modify this template to meet your specific needs. Cert. of Incumbency (by L4SB): This is a formal PDF issued by L4SB, on our letterhead, signed by an attorney, and notarized, indicating legal ownership of the your new company at time of formation. This is an excellent way to assert ownership, although it is not legally required. Some vendors, including some banks and merchant account providers, have asked our clients for such a document. Cert of Incumbency (by Company): This is a simple template MS Word document that you can use to assert ownership. The document is issued by your company, and helps prove ownership to vendors, banks, merchant account providers and more. 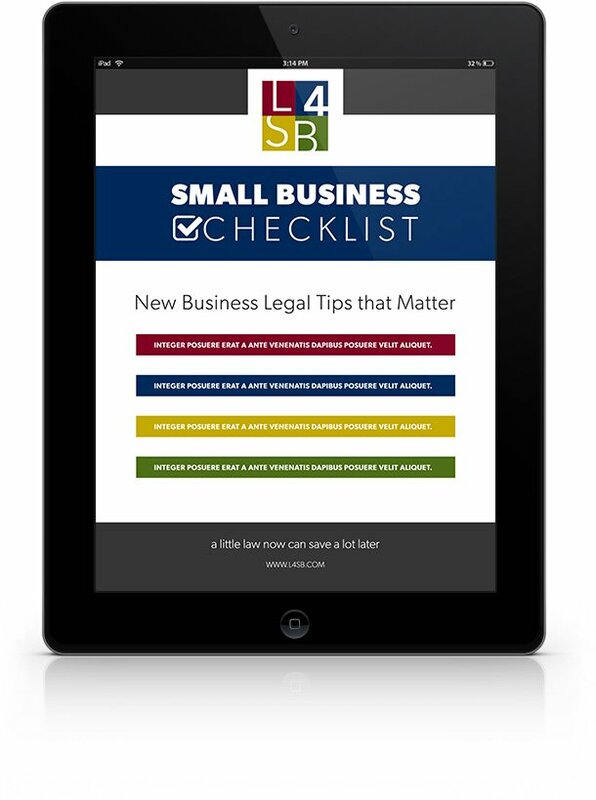 L4SB E-Book: Starting Your Own Business (20pg): This helpful E-Book is authored by L4SB attorneys, and provides valuable information for new business owners that cannot be found on the L4SB website. You Asked About: Go Green! Most paperwork can be scanned and managed electronically. To speed our efforts (and reduce costs), L4SB works in a paperless environment -- and will email you all your paperwork without charge. If you want us to mail you your paperwork, we will be happy to do so, although there is a small charge to cover our expenses. A Registered Agent is a person or company with a mailing address (not PO box) in the state your company is registered in who can receive documents and notices on behalf of your company. If you need your LLC in a hurry, we will put it to the top of the pile and submit your paperwork the same day or very next business day we receive your information. We are still dependent upon the Secretary of State's office, which is why we cannot promise a specific turnaround time. Please note that it's currently taking 4-6 weeks for the State of California to approve new LLC formations, unless you rush. The time estimate is for state processing and handling only, and does not include office mailing time. Finally, rush service is NON-REFUNDABLE, even if the State of California rejects your application. If you intend to use a name other than your company name, you need to register that name as a DBA, or "Doing Business As," which is called "an assumed name" in Illinois. If you intend to use a name other than your company name, you need to register that name as a DBA, or "Doing Business As," which is called "a fictitious name" in Nevada. New York requires a new LLC in the state to publish an announcement. Law 4 Small Business will publish your new LLC according to legal requirements only if you select the "Required Publications" options below. Otherwise, you are responsible for publishing according to legal requirements. Assumed Names: Section 130(4) of the NY General Business Law requires that a certified copy of the filing be displayed on the premises where business is conducted under an assumed name. *Rush or expedited services are for state processing and handling only and does not include office mailing time. Required Publications: Within 120 days, a new LLC must be published in two publications for 6 consecutive weeks, one daily the other weekly. A certificate must be sent to the State. Pricing does not include the required legal publication, unless you select and pay for this option. If you need your LLC in a hurry, we will put it to the top of the pile and submit your paperwork the same day or very next business day we receive your information. We are still dependent upon the New Mexico Secretary of State's office, which is why we cannot promise a specific turnaround time. If you intend to use a name other than your company name, you need to register that name as a DBA, or "Doing Business As," which is called "a trade name" in Wyoming. Nevada's LLC registration fee consists of $75 for filing, $200 for the business license fee, and $150 for the initial list of officers, directors and the registered agent. L4SB makes no representation as to whether you are “transacting business” in your home state, or any other state. If you decide you’re transacting business in state other than the state where your LLC is formed, talk to L4SB to discuss registration requirements in any state where you may be “transacting business”. Attorney-client privilege and confidentiality is not absolute. 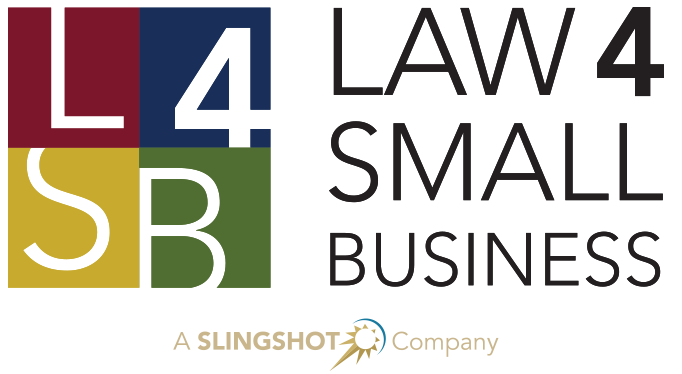 If L4SB is subpoenaed by a court or state entity of competent jurisdiction, L4SB will have to respond although L4SB will coordinate with you and/or your local attorney. L4SB does not offer or render tax advice. We encourage you to seek the advice of a competent CPA or accountant, to help you understand the best way to handle income, employment and sales taxes. It is critical you do not commingle funds, undercapitalize your LLC, or do anything else that would permit a plaintiff to “pierce the corporate veil”, otherwise you could lose your liability protection. Talk to L4SB to learn more. Click on the  icon for additional information. Also see the bottom of this page for frequently asked questions and more details about what is included in your purchase. What is the difference between "Member Managed" and "Manager Managed" LLC? “Member Managed” means the LLC is simply managed by the Members. All Members have similar powers to run day-to-day operations of the business, and the Operating Agreement will specify what powers the Members have that do and do not require a vote. “Manager Managed” means the day-to-day operations of the LLC is managed by a Manager. The Manager has certain powers, as specified in the Operating Agreement, that do not need the approval of the Members. Note that Members will always have some powers reserved to a vote, such as assigning a new Manager, or dissolving, or bringing on new Members. A Manager does not need to be a Member, but one or more Members can certainly be the Manager. One or more Members will run day-to-day operations, and other Members will not (i.e. silent investors, for example). It’s often convenient to make as Managers the day-to-day operating Members, so they can run the business without having to always call a vote. One Member is really the “one in charge.” This Member can be assigned as the Manager, and have additional powers assigned to him or her. This is often a very complicated subject that is often ignored. If you have questions, please contact us. Isn't the "Registered Agent" and the "Physical Mailing Address" the same thing? No. The Registered Agent is a specific person or entity, available at a specific address, where service of process and legal notices can be sent (think sheriff showing up with a summons). can convey some level of attorney-client privilege and confidentiality. This means the staff will be properly trained not to give out sensitive information, thereby better protecting your anonymity. A Registered Agent can simply scan in your material, and email it to you when received. This is different from a “Physical Mailing Address.” Such an address would can receive actual mail, perhaps checks, credit cards and more. These things cannot be scanned. They must be physically handled and relayed. They don’t have to be staffed the same way a Registered Agent’s address needs to be staffed. Such addresses also have an impact with Google and other search engines, which are becoming ever increasingly smart and will “flag” addresses that are shared by too many businesses. Why shouldn't I go with your competitor, who allows me to use their Registered Agent Address as my "Physical Mailing Address" ? 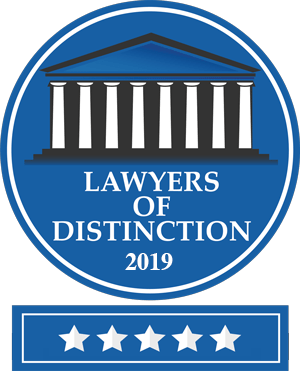 What this means is, you’re considering a competitor of ours who is not a law firm or attorney. If you do this, you can potentially destroy the liability protection a LLC offers. Why? Because a Secretary of State’s office will certainly accept a LLC registration where an address is the same for both the “Registered Office” and the “Physical Mailing Address” of the LLC. However, under statute you are required to truthfully disclose where the LLC is located. Unless you have an actual lease, permitting you to conduct business, out of the Registered Agent’s office, you haven’t been truthful in your LLC registration. This can be utilized by a competent plaintiff’s attorney to argue they should be permitted to pierce the corporate veil. Contrast this to a “virtual office” or “virtual mailbox.” In such a scenario, you have actually leased the service, and therefore are in control of the service, and therefore have been truthful in your LLC registration. This cannot be utilized by a plaintiff’s attorney to attempt to pierce the corporate veil of your LLC. Therefore, beware when purchasing legal services — even something as simple as a LLC formation — from anyone other than a properly licensed attorney or law firm.